We continue our exploration of James Bond and the actors who played him with On Her Majesty’s Secret Service, the first and only film featuring George Lazenby as Bond. Our guest is once again Chrys VanDerKamp, who will be joining us for every bond film as the only two she has seen is Quantum of Solace (which is unfortunate) and Goldfinger (which we showed her.) 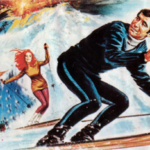 On Her Majesty’s Secret Service is a fascinating Bond film as it establishes the premise that Bond can be played by another actor but it begs the question “why this one?” Also there is a lot of skiing (a lot of skiing), Diana Rigg, and Telly Savalas! Next up, we will follow Lois Maxwell, the original Miss Moneypenny, to The Haunting! Sorry – George Lazenby really didn’t make another decent film and The Haunting is FABULOUS! 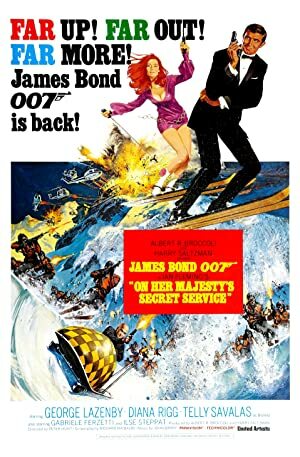 Plot: James Bond woos a mob boss' daughter and goes undercover to uncover the true reason for Blofeld's allergy research in the Swiss Alps that involves beautiful women from around the world.